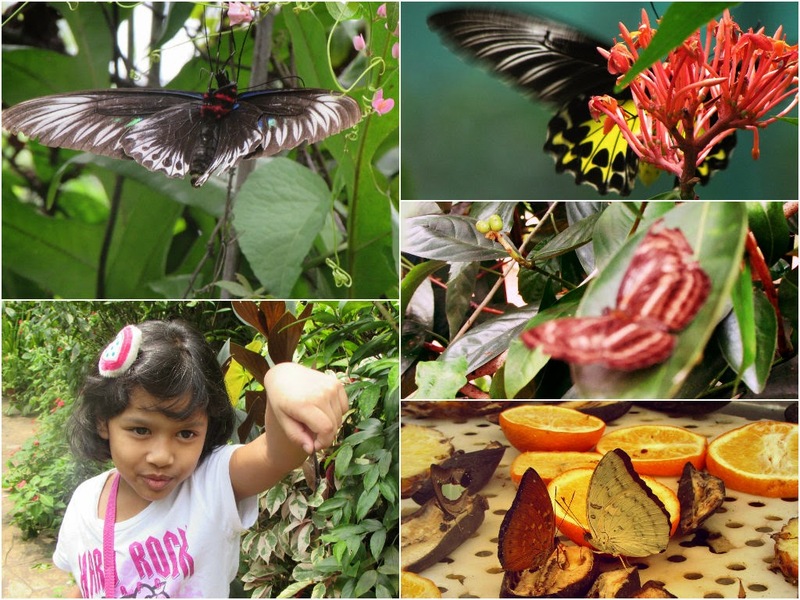 Last week we went to the KL Bird Park and we also spend the weekend to the Butterfly Park. 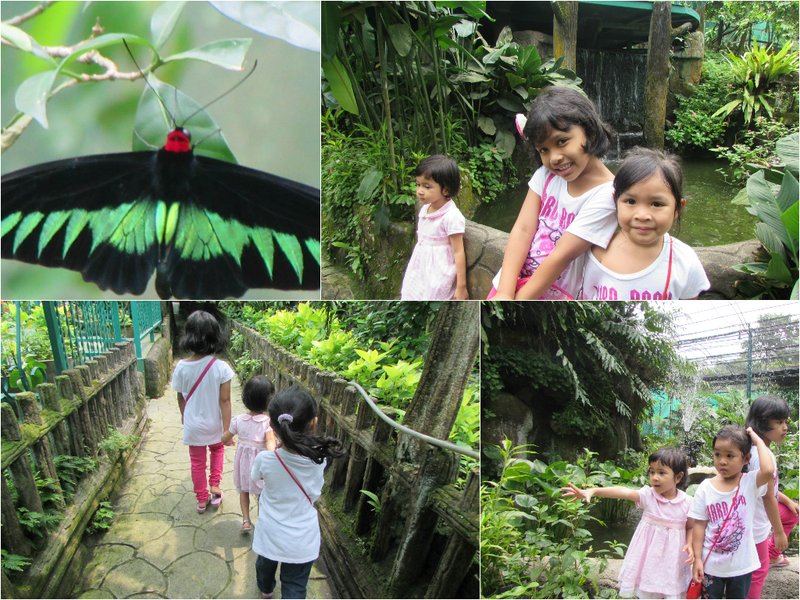 This time around I brought along my nieces, 'Aina and 'Amani to have fun together with Aulia'.. They seems so excited when I said we gonna visit the Butterfly park. The entry fees are quite cheap here compared to the KL Bird Park. 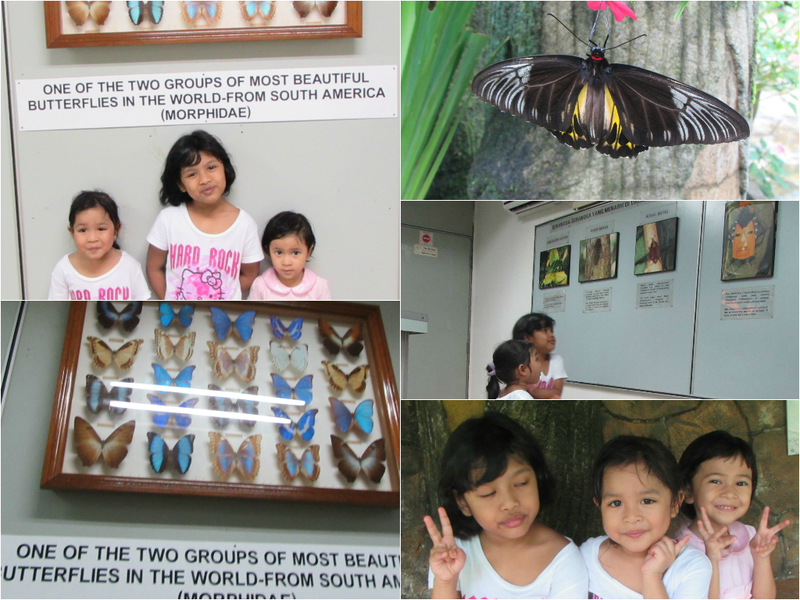 Perhaps the Butterfly Park is not as big as the Bird Park though. It's only RM 6.00 per adult and RM 3.00 for child 3 years and above. The garden area is well landscaped with waterfall and few other water bodies. Many indigenous species of plants area available, including the nepenthes which prey on ants and the water lily. The exhibition hall is quite informative, the girls was impressed with the man-face bug and they go like ''Eyhhhh Mak Long look! macam muka orang!" Haha..yes the man-face bug boast the familiar patterns like faces or tribal masks on their shield. While potential predators waste precious time wondering whether it's food, enemy or prey, the masked creatures plot their protection tactics or escape. Genius ha! That's the miracle of the Almighty. He created everything with a purpose. We spent about an hour an a half at the farm, and mind you, sufficient drink is required to keep us hydrated. Butterflies will be attracted by human sweat, so we should not be surprised that we will become attraction to the insects once we get wet due to sweating. 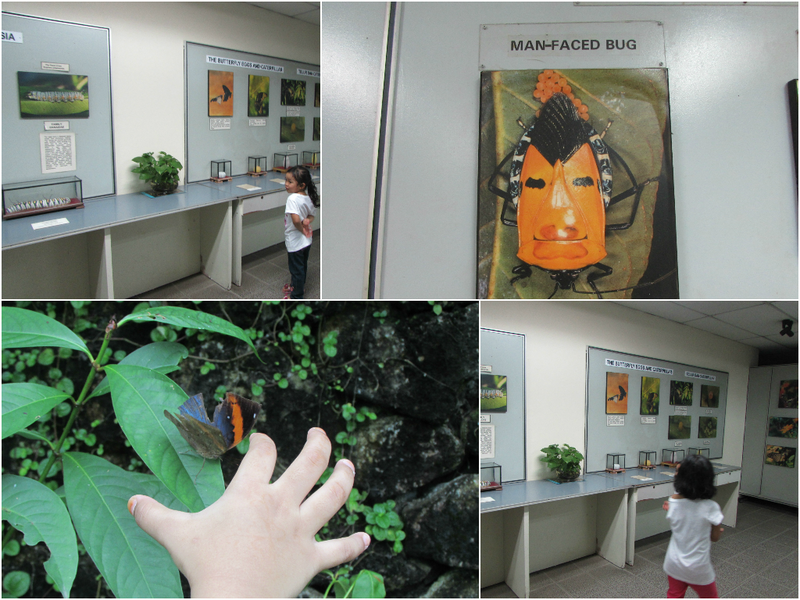 Besides the beautiful insects, there are a lot more to see! In the exhibition hall, you can found the disgusting giant millipede, water scorpion, geckos, tarantula and many more. Before leaving the farm compound, we walked through a series of gift and souvenir shop where the only exit was located. Genius! But above all, the girls truly enjoy the visiting!